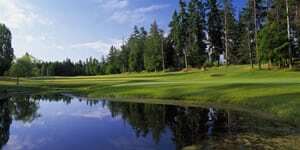 Named ‘One of British Columbia’s Top Courses” by Globe and Mail golf writer Brian Kendall, Highland Pacific Golf is an impressive test of golf carved from the highland wilderness in Victoria. 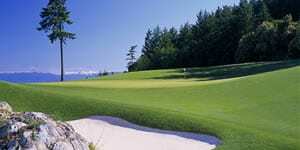 Check out the terrific Highland Pacific Golf Packages below. 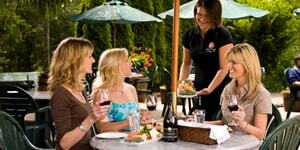 Victoria Golf Weekend Steal Away - the best bang-for-the-buck weekend in the province! 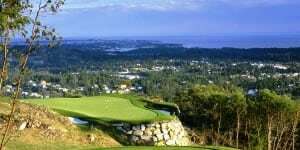 Two nights in one of the most popular tourist cities in North America, hot breakfast every morning and rounds of golf with power carts at two of the best courses on Vancouver Island! Two nights in a five star hotel and three unforgettable rounds of golf. Golf weekends don't get much better than this! When you can't decide which course to play, why not play them all! This package is for serious golfers! Three nights, 90-holes of golf and unlimited smiles. Arrive in Victoria, put the car keys away, and let us drive you and your friends to three of the best courses on the island. This is the trip you and your buddies will be talking about for years to come. 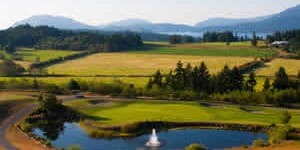 Two nights accommodation, three rounds of golf with power carts, transportation to and from the course everyday 20 - 25% discounts at select local pubs and restaurants and, while supplies last, a free $200 gift certificate at your choice of golf course to use toward food, drink or prizes - an insane deal! Get your buddies together and call us. 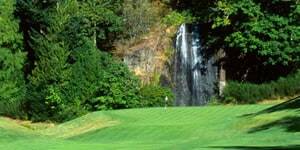 Two nights at a five-star hotel and golf at three of Victoria's best golf courses! Our most popular package. Two nights in one of the most vibrant cities in Canada and rounds of golf with power carts at three fantastic courses. This is golf-getaway heaven! 2 Nights, 1 Round & A full day Winery Tour. 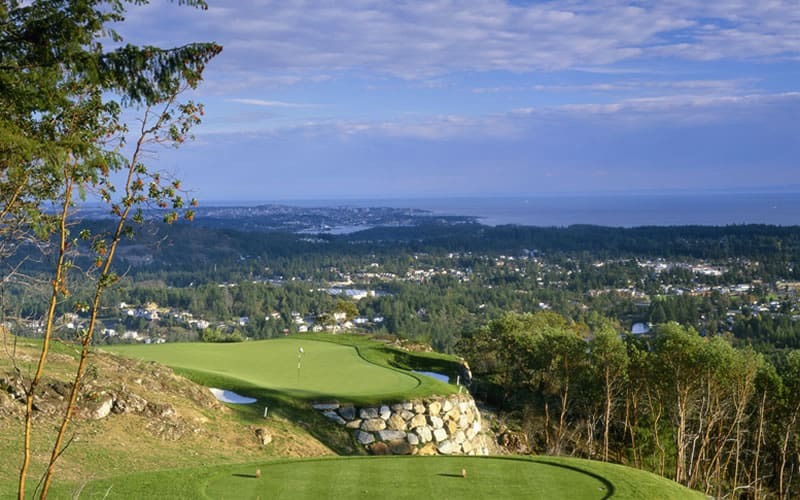 This package offers an incredible blend of five-star accommodations, phenomenal golf and a five-hour chauffeured tour of the wineries of southern Vancouver Island. Our most popular getaway package. Two nights in a luxury hotel in one of the most vibrant cities in Canada and rounds of golf with power carts at two of the best courses on the island. This is luxury-golf heaven. Two nights and four rounds of Golf, This trip is the perfect cure for your burning desire to tee it up! This Victoria golf vacation is as good as any golf vacation gets. Seven nights, five rounds and time left over to enjoy one of the most incredible cities in Canada! 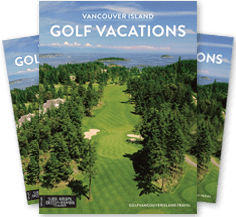 Golf Vancouver Island sends an digital newsletter, The Emerald Club, 8-10 times per year offering golf travel deals and interesting information about Vancouver Island. You may unsubscribe at any time. The package was definitely complete! Everything was taken care of for us... tee times, resorts, driving directions. Our favorite stay was at the Crown Isle Resort. It truly was perfect ... We appreciated all the help as this was our first visit - the first of many! Overall great experience on our trip and will definitely book through Golf Vancouver again! 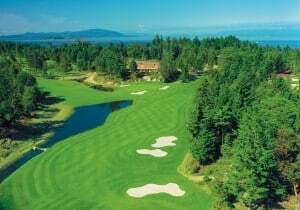 This (Bear Mountain Resort – Mountain Course, on the Vancouver Island Golf Trail) is my new favourite golf course – I just love the layout. It’s really one of the prettiest golf courses I’ve played in my life, I’ll come back here on vacation, it’s that good.